Protecting software intellectual property (IP) can be a complicated, expensive, and time-consuming process. Copyrights, trademarks, and patents are all available for software development companies. While they remain options for legal recourse should infringement occur, in practice they require long legal battles to uphold. Reviewing existing patents to determine infringement can be expensive, so much that many software developers choose instead to “fly blind,” rather than underwrite the costs, as Forbes contributor Eric Goldman wrote last year. As Goldman notes, since software develops rapidly, by the time a company is awarded a patent, the technology they created may no longer be relevant—or, at the very least, the software may be well into its lifecycle. 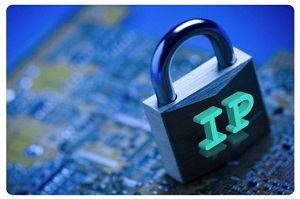 So how can software creators protect their IP? Despite their limitations, copyrights, trademarks, and patents remain the best available options for protecting IP. While they aren’t foolproof, they establish legal rights to innovative ideas and solutions. This enables software companies to fight back should information theft occur. The pace at which software development occurs often means that in the time it would take a company to replicate another’s IP, that information is well on its way to becoming irrelevant. But this doesn’t take into account that software engineers and software company employees often change jobs frequently. If the developer of one technology moves on to another company, they take their knowledge with them—even without the specific rights to that knowledge. They can sometimes then develop alternative solutions based on the R&D they did for their previous employer. Perhaps one of the best ways to establish IP security is to keep employees happy by creating a strong culture that encourages innovation. Some turnover, however, is unavoidable. So how can companies protect data when employees move on? By addressing that issue during the initial hiring process. Non-compete agreements can’t protect companies from all IP threats. However, like patents, they are one of the few legal options software companies have for development security. Key parts of the America Invents Act went into effect this spring, changing our patent system from a “first to invent” to a “first to file” system. This bill helped solve some of the concerns software companies have long expressed, including independent invention. However, it is essential that software companies understand the law and the new requirements for patents. For example, companies now need to have a thorough understanding of what qualifies as “prior art,” and the reasons for publishing software defensively, when possible. And the new system still isn’t perfect; there remain a number of initiatives in place for reforming software patents to make them more effective, including the SHIELD Act. One thing that has not changed is the importance of carefully recording and documenting new software development. Establishing policies that track new software inventions and implementing them is good business. It proves ownership (should the need arise) and can be used to show value during licensing or M&A action. What has your company done for software development security? Where do you fall on reforming software patents? Let us know in the comments.